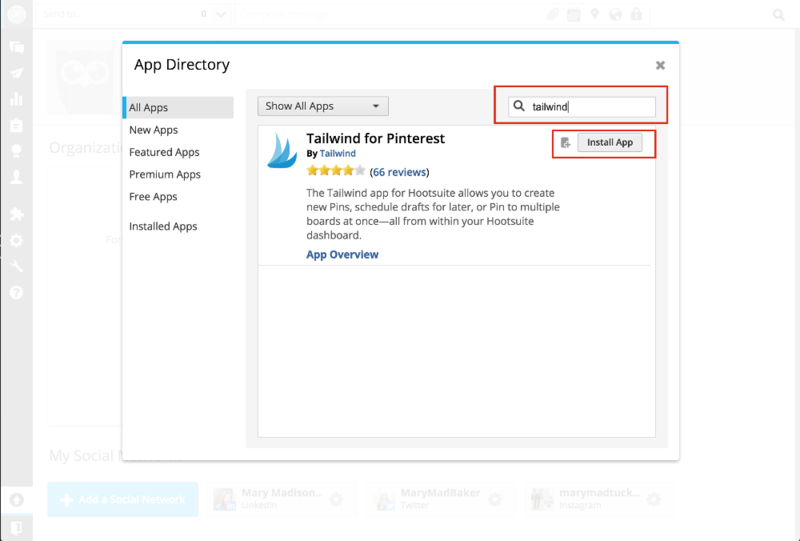 We are so happy to hear that you are interested in installing Tailwind in Hootsuite! Here is a quick guide to make sure you install the app properly. To get started log into Hootsuite at https://hootsuite.com/. 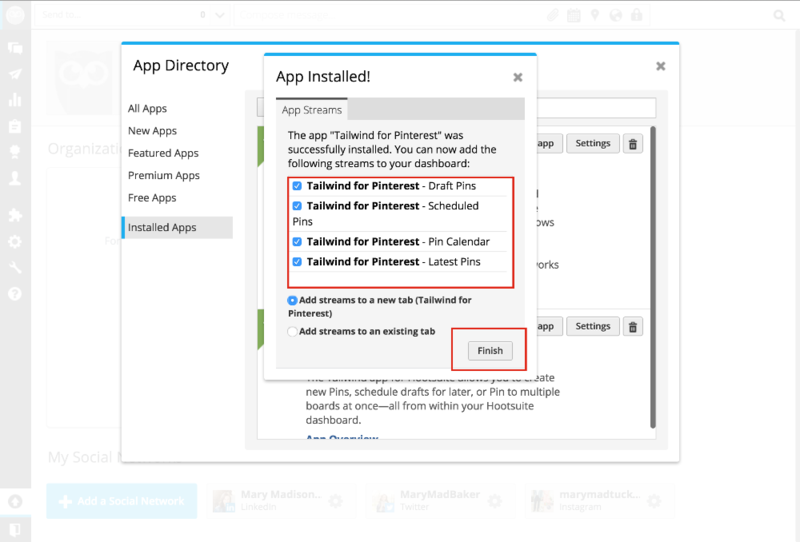 Head over to the Hootsuite App Directory > Enter in "Tailwind" and select "Install App". 3. Once you select "Install App" you will see another small pop-up window that shows you 5 Tailwind streams. To get the best out of your experience, we recommend adding them all. To do this leave all 5 streams checked and select "Finish". 4. You will now see your streams added to a "Tailwind for Pinterest" tab. 5. Now you can login! 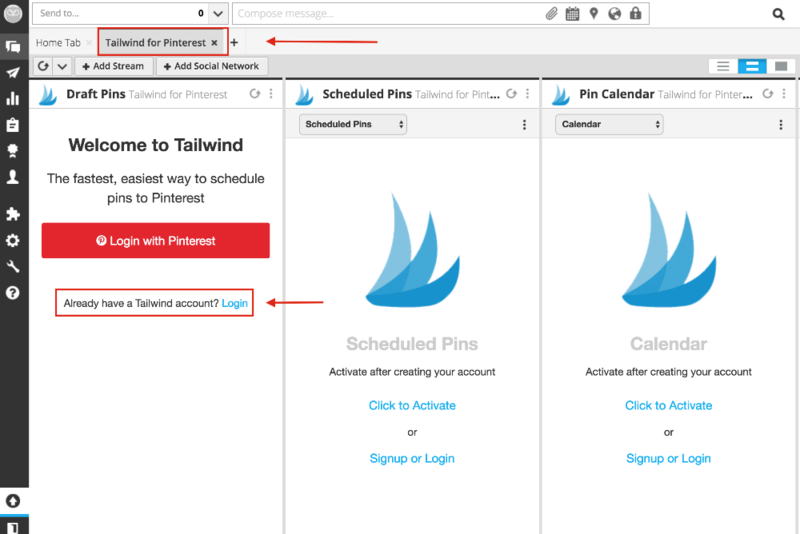 If you do not yet have a Tailwind account, select "Login with Pinterest." However, If already have a Tailwind account: Just select the blue "Login", and enter in your Tailwind username and password.